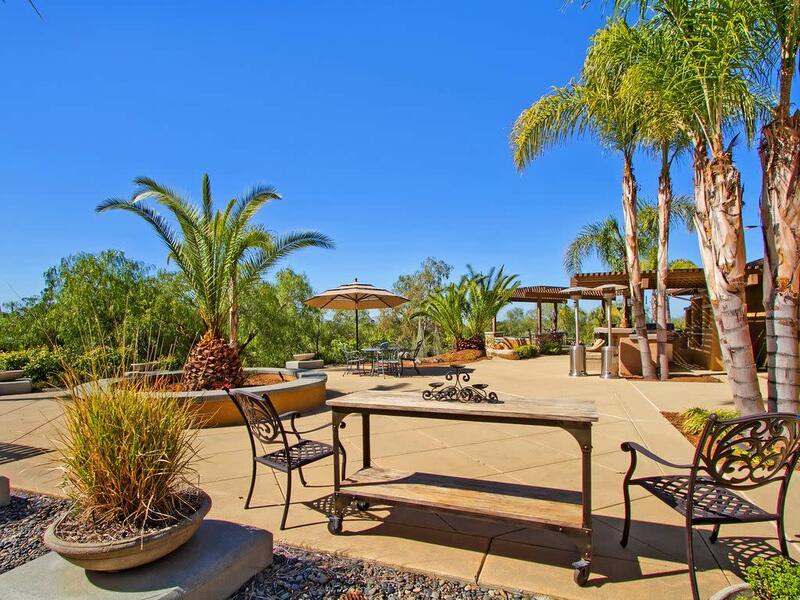 Located on a quiet country road in the heart of Temecula Wine Country, Casa Turo (hilltop home) is an ideal home base for wine tasting outings and attending wine country events. More than 40 wineries beckon from within a 5 minute drive. The hilltop vantage point offers 360 degrees of postcard views to mountains on every horizon. An inviting back yard with outdoor kitchen, real-wood fire pit, and plenty of seating is an ideal spot to gaze at stunning sunsets or enjoy outdoor dining in SoCal's Mediterranean climate. BEDROOMS - 4 bedrooms and a den sleep up to 10. Master Suite with King bed and full bathroom en suite; Country Roads Room with queen bed; Victorian Room with queen bed, Renaissance Room with queen bed, and Den with sleeper sofa that pulls out to reveal a comfortable inflatable queen bed. AMENITIES - Roomy kitchen with modern GE appliances; Open plan living area featuring big-screen television with cable service, fireplace, over-sized dining table, Expansive outdoor living space including built-in BBQ island, dining deck, and a real-wood fire pit; Gated entry, bridge, and lush landscaping on a full 5 acres for privacy and seclusion; Upscale furnishings throughout; Easy keypad entry to gate and house. 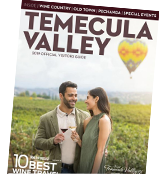 SPECIALS - Sip and Stay: Book a stay lasting 4 nights or more, receive a credit of $250 towards any service provided by Grapeline Wine Tours, the top-rated activity in Temecula Valley according to TripAdvisor and Yelp. LOCAL AREA - Popular local attractions include Wine Country with more than 40 wineries and more than 15 restaurants; Old Town Temecula, a vibrant walkable dining/drinking/shopping district with historic roots that maintains a frontier look; and Pechanga Resort and Casino, a Vegas-style casino named in a 2015 USA Today Reader's Poll as the Top Casino in the U.S. Area activities include hot air ballooning, horseback riding, hiking, concerts, festivals, and of course wine tasting.